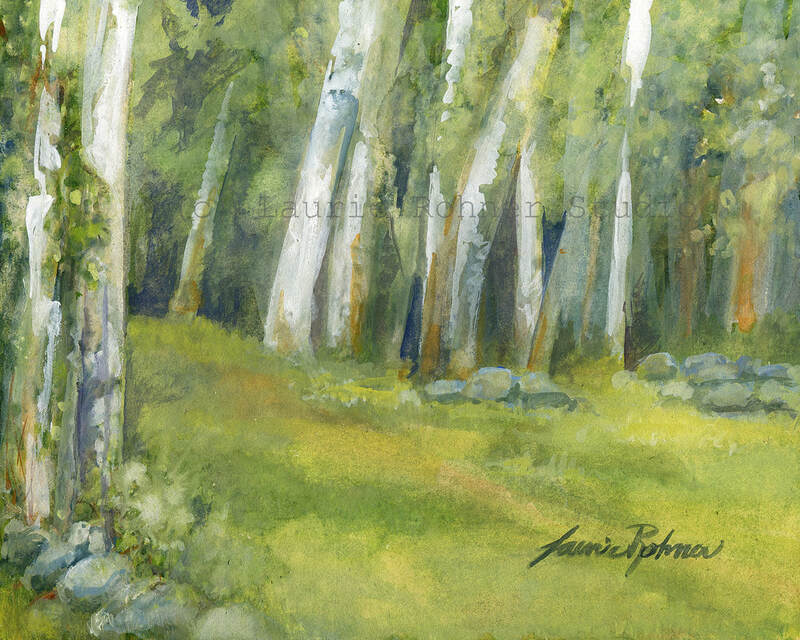 ​Spring Field is an original woodland watercolor nature painting depicting the lush spring green fields framed by white birch trees and a long forgotten rock wall. What I like about this watercolor landscape is it could be a scene found anywhere. This was painted from memory of a landscape I loved in Vermont. It was off a road (dirty) as my Mom would call it, and the birch trees just always made me feel happy. Of course springtime or sometimes mud season is very special time of year. It means things are coming alive and shedding the dreary short days of winter. This is a nature landscape watercolor by artist Laurie Rohner.